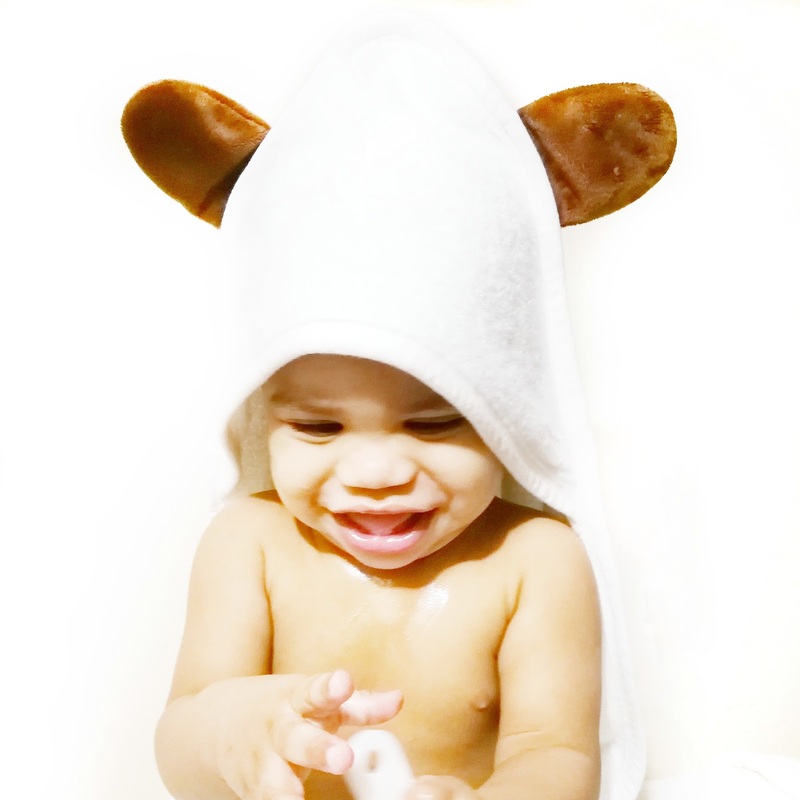 Joy For Baby-The Softest Baby Bath Towel For Your Little One! Your little one is finally clean, and it's time to wrap them up in a towel that is tender and gentle on their delicate skin. It is truly an adorable sight to behold seeing your baby clean and smelling so wonderful all wrapped up in cuteness. When deciding on the best bath towel for your little one, there are so many options to consider but sensitivity and softness should be at the top of your list. This can be quite a daunting task when all the brands offer the same claims over and over. This review will make this decision easy for you by introducing to you the most luxurious towel for your baby ever! In my search for the best bath towel for my son, I have purchased and tried approximately five bath towels since he was born (not to mention the ones we were also gifted at our baby shower) and I have wasted money and time and many frustrated months using these towels and being so upset that I could not score one good towel that I was completely satisfied with. My main issues with many of these baby towels that had a lot of claims on the packaging were; rough edging that could scratch baby's skin, the edging would start coming off after a few washes and the towel would start shredding, loads of pilling after washing, lint all over baby's skin after drying him off, towel seemed thinner after every wash (no dryer), hoods were always too small, each towel were all the same small size which was a problem as baby grew, some did not dry his skin properly and the issues continued. Until I came across this amazing brand on Amazon and I was blown away that a baby towel could be so luxurious! 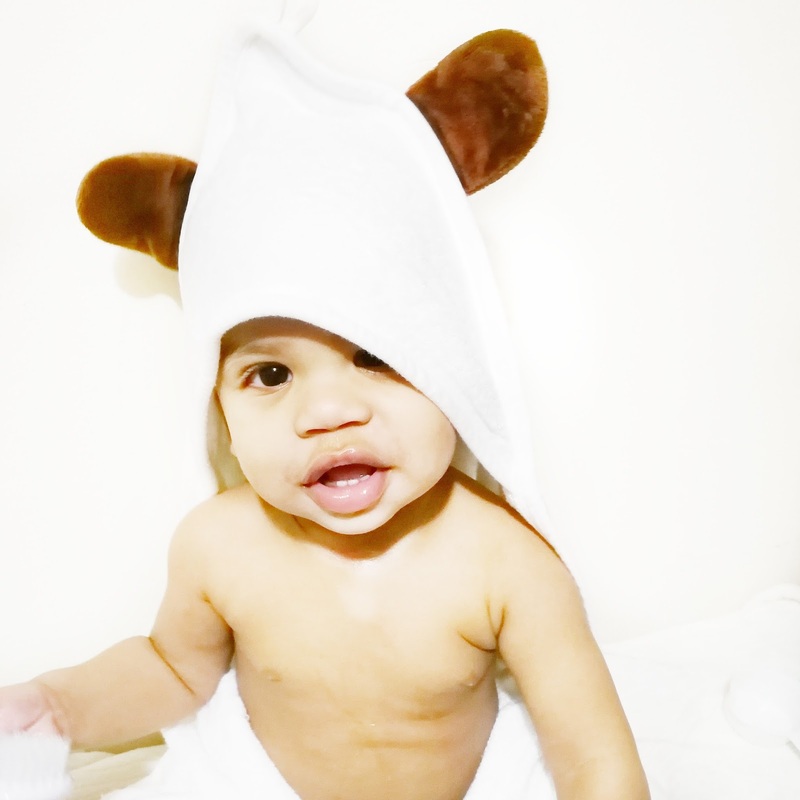 "Joy For Baby" offers the highest quality organic bamboo baby towel I have ever used! Their towel lives up to every single claim and I could not be more pleased with this beautiful bath towel. There is no harsh embroidery on the hood! Reinforced edges for absolutely no fraying, It has a unique hands free apron strap, a larger hood, larger towel, and it's more sturdy than other bamboo towels because it has a cotton backing so the towel holds up to multiple washes and everyday use. It's a unisex towel so you can pass it down and not have to purchase new ones for other siblings. 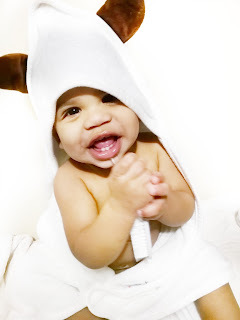 This is seriously the softest most luxurious towel I have ever felt and it's so amazing at soaking up water too, so much better than cotton towels!...My baby is dry just a few seconds after wrapping him up in it. There are no edging or embroidery patterns scratching my baby's face. Not to mention it's also so cute! Having a hooded towel is important because covering baby's head after a bath helps prevent them from exposure to any cold drafts after getting out of warm water. 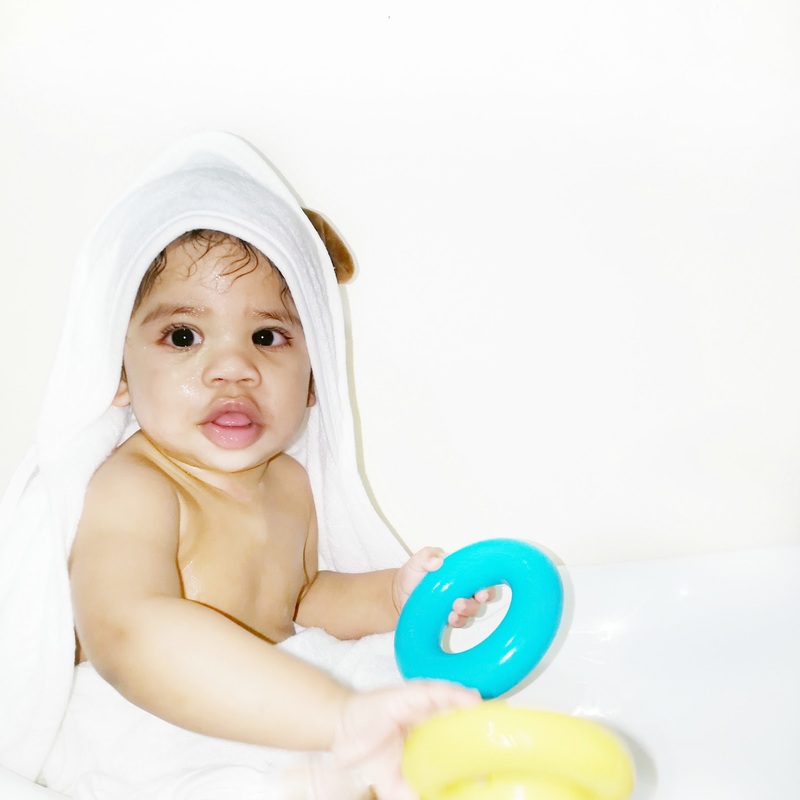 Most of the time I bathe my baby alone and the fact that I can put the strap around my neck is such a great feature making it so easy to wrap up baby boy without the towel sliding off and my hands are free to lift baby out of his bath. I have contacted Joy For Baby and they were kind enough to offer a discount code for my mommy friends. It is only valid until March 31/2018, so hurry and give your baby the after bath experience of a lifetime or get it as a baby shower gift! You would not regret it! Everyone should give their baby the gentle care and luxury this towel offers! promotion is valid until 03/31/2018. Looks so snuggly and soft- My babies would have loved this! Oh how cute. My little one just loves bath time and we have so many different towels and would love to try this soft one too. Why don't they make these for big people?! They look so soft and cuddly. Amazon for the win! And I agree with the above comment, there should be one for US too! My brother is a new dad. I'll definitely have to share this info with him!